The goal of ergonomics is to reduce stress and eliminate injuries and disorders associated with the overuse of muscles, bad posture, and repeated tasks. By working against these problems, ergonomics supports business efficiencies too. But the need for ergonomic awareness and action extends far beyond the factory floor. 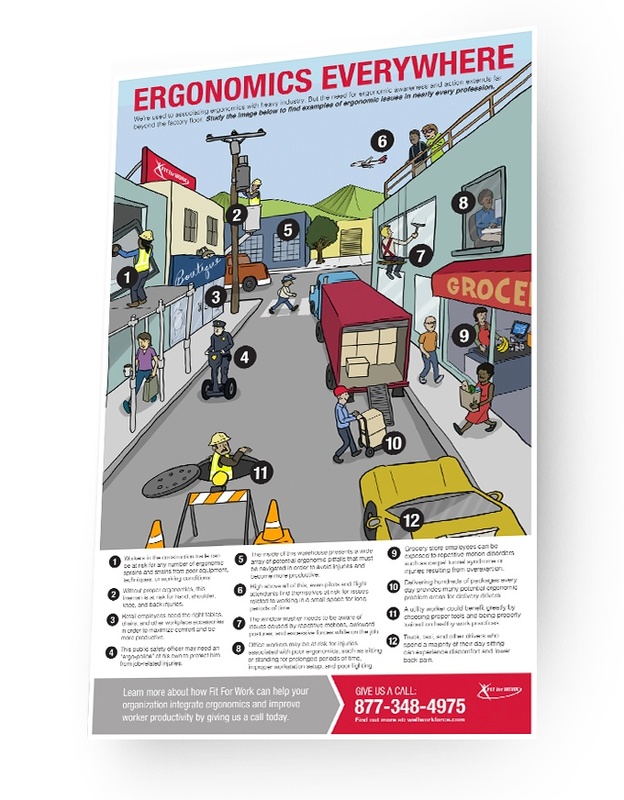 Ergonomics can help reduce musculoskeletal disorders, accident, injury, and fatigue in just about every job in every industry. Download the infographic to get a better picture of how ergonomics is affecting you in your everyday life.